Last Sunday I was up at an ungodly hour, getting ready to make my way in by train to Salon Melbourne at the Melbourne Convention and Exhibition Centre. Salon Melbourne is Victoria’s ultimate hair and beauty event and unfortunately for those not in the biz, it’s an industry only event. Showcasing some of the best products and tools, live shows, masterclasses and entertainment. And best of all, major discounts off RRP. This was my first year at Salon Melbourne, and I knew that I’d need to make a deal with myself before stepping foot through those doors – keep a clear head, don’t become dazed and confused by % off signs and only use the credit card in extreme emergencies. Being a makeup artist, my main interest for the day was the live makeup shows, getting around to all the makeup booths and hopefully picking up a bargain or two. 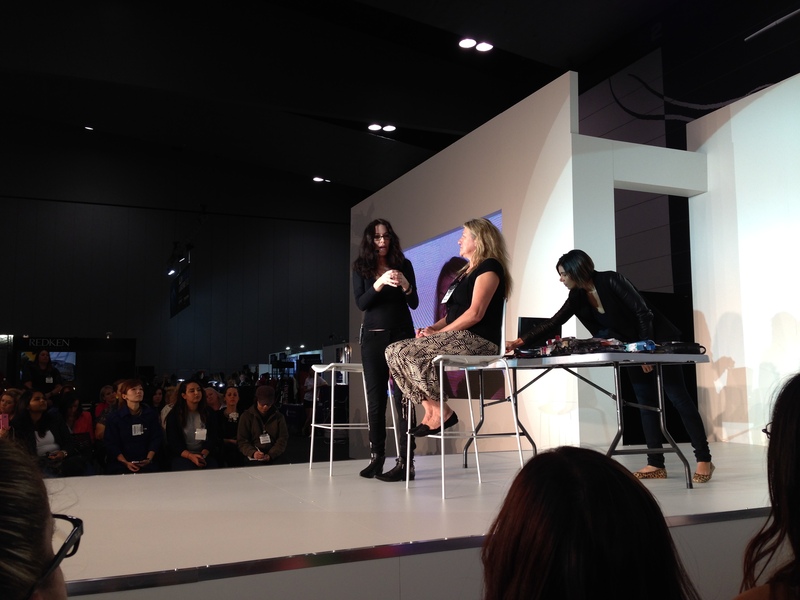 My first port of call was the live show “Makeup Secrets Revealed with Rae Morris”. I have many of Rae’s published books, and have seen some video footage, but I honestly didn’t know what to expect. Well Rae blew me away, she came onto the stage so full of life and a real wanting to be there and reveal her trade secrets. My only disappointment was that this show was 20minutes, as I could have listened to this woman speak all day. 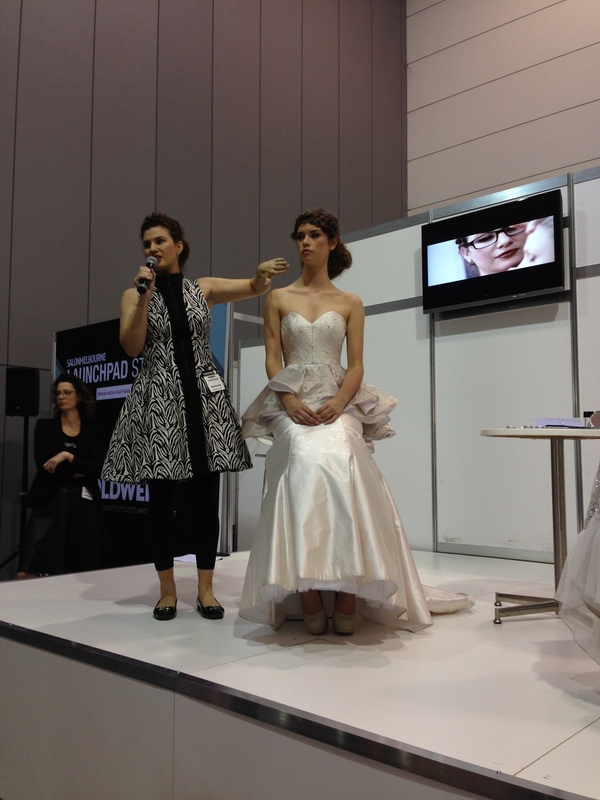 Another show I really wanted to see was “Secrets of Beautiful Bridal Makeup”, with Joanna Blair. Again, these shows are not long enough. I had a brief opportunity to speak with the Joanna Blair’s School of Makeup team, and they were all so warm and friendly. The highlight of my day was meeting Rae and asking if she wouldn’t mind taking a few selfies. 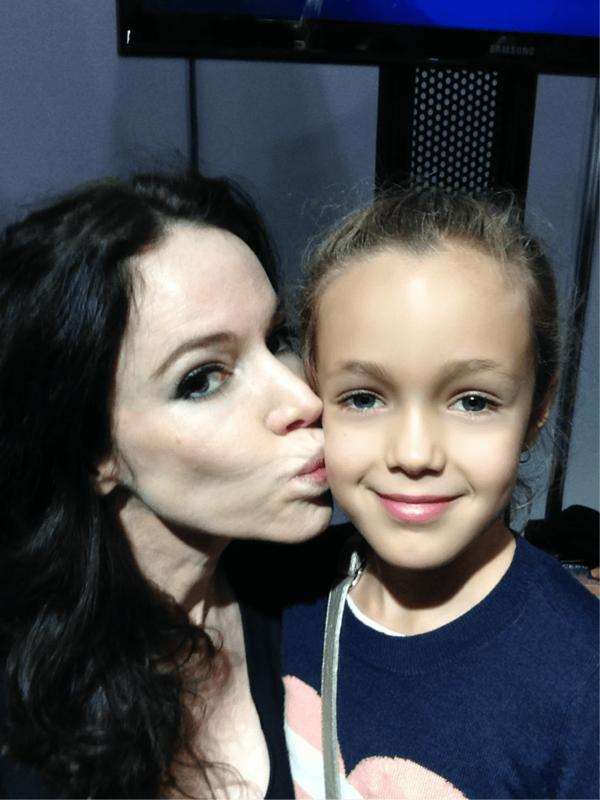 Well she was so enthusiastic, Rae grabbed my phone, grabbed my daughter Ava (who was tagging along) and proceeded to click away, even giving Ava a few pecks on the cheek. More than I could have hoped for. I was really hoping to see more brands that aren’t that readily available in Australian stores, or don’t have a huge presence here. Unfortunately that wasn’t really the case. This might be due to the fact that this is a Melbourne only event, unlike its rival show IMATS (International Makeup Artist Trade Show), it’s worldwide. I was also disappointed in the Inglot live show, and I absolutely love this brand, but the Main Stage had 2 large viewing screens for the audience to get an up-close view of what was happening and unfortunately Inglot chose to leave their advertising on the screens. So unless you were sitting in the front row, directly in front of the model, you basically couldn’t see a thing. 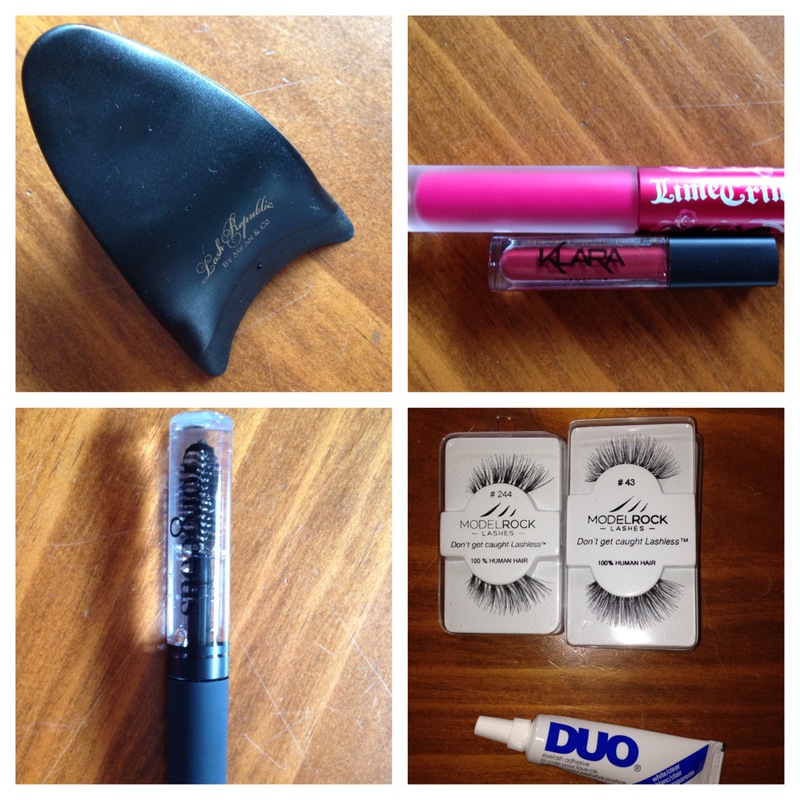 Lash Replublic’s false lash placement tool. Such a simple yet genius invention. 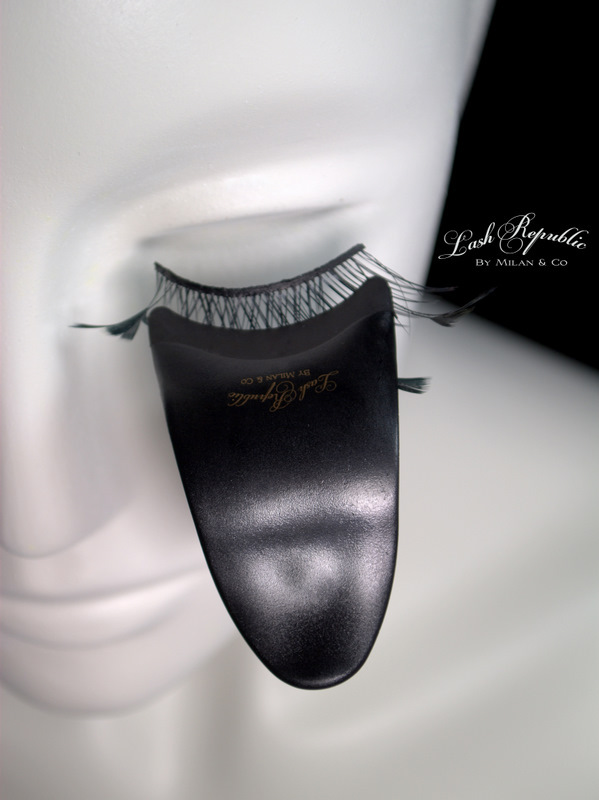 With rubber grips, it won’t blend or ruin the lashes, and makes it easy for self or client application. This was the best $10 spent! Will I return next year? I think so, maybe attend a Master Class or two and definitely save my pennies well in advance. p.s apologies for the lack of photos, Salon Melbourne strickly stated no flash photography, so I resorted to the iPhone. Annoyingly there were people with cameras everywhere and my iPhone had died by half way through the day. 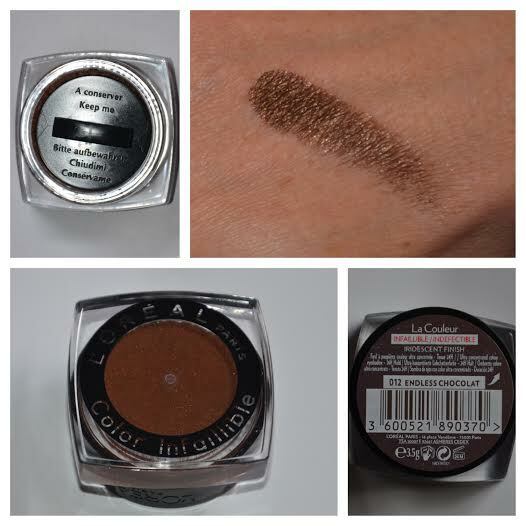 So I recently decided to purchase one of the L’Oreal Infallible Eyeshadows to see what all the hype was about. The shadows come in 8 gorgeous shades and I have to say it was a hard decision to make as I could have quite easily purchased them all. They retail for $19.95, however I picked this up at Target when they recently had 30% off for $13.96; which was a bargain. I purchased the shade Endless Chocolate; it’s a beautiful rich chocolate brown, with a hint of bronze. It’s very soft and creamy, with amazing colour pay off. As the shadow is quite thick, creamy and shimmery, it’s best used on the lid, or the lower lash line, and applied with a flat shader brush or fingertip. The lighter colours like Hourglass Beige would make a gorgeous highlight on the inner corner of the eye. 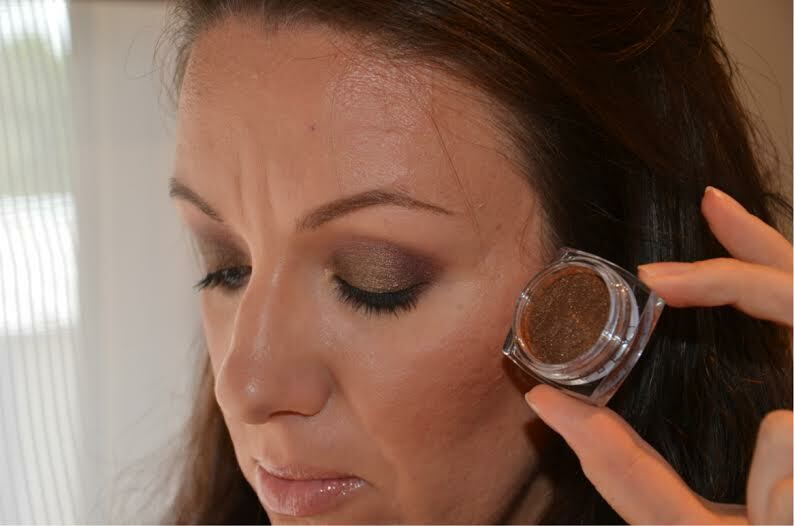 This shadow is like a 3 in 1 product – cross between a loose pigment, cream shadow and pressed shadow all in one. The product is long lasting, crease proof and blends easily. Each shadow comes packed in a square plastic pot, with a black insert lid to keep the product compressed and an outer lid that has product specs. On the flipside of the pot you can see the colour of the shadow through a clear window. Each pot holds 3.5g of product. The packaging is good, not amazing, but good. On more occasions than not, I find that pharmacy brands lack quality and don’t seem to have the lasting power, pigment and blendability that a good shadow requires; this was certainly not the case for these eyeshadows, and they certainly stack-up against the major high end brands. So, the question is will I be purchasing more of these shadows, hell yes! Well ok, maybe not full priced, but I’ll definitely wait for the next big pharmacy sale and get myself a few more of these babies to add to my collection. Welcome to the Ava Jane Makeup Artistry makeup, beauty and fashion blog. 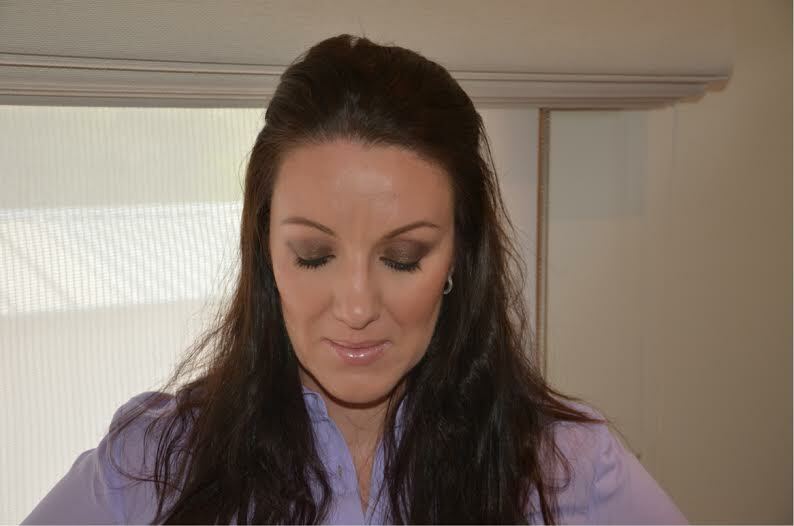 My name is Jane, and I am a freelance makeup artist based in Melbourne Australia. I am super excited to start this blog and bring to all my followers (yes you, please follow me), makeup tips, product reviews, tutorials and general chit-chat about anything makeup, beauty and fashion related. So why have I started this blog? Well not simply because I just love makeup, but because I wanted to have an outlet where I could give an honest opinion on a product or service, share my thoughts, impart my knowledge and hopefully help someone out there make a wise decision if wanting to invest their money into a product. Having previously worked in the corporate retail world for more than 15years, I spent my long arduous days communicating, communicating and doing a bit more communicating. So whether I was on the phone, sending emails, writing articles, in meetings, or when I could squeeze it in, catching up with the guys and gals for a coffee, I was communicating in some way shape or form. I left the corporate world in 2011 and have honestly never looked back. (heel click). So fast forward to 2014, going from the corporate world to full time Mum and part time freelance makeup artist, my mind is becoming overloaded and is filling fast with thoughts and ideas that must be released. My husband (god love him), is really my biggest fan and probably knows more about makeup brands than most females; but there’s only so much he can take. My two kids (Ava, 6 and Benjamin, 2) are of course more interested in Peter Pan, Lego, Trampolines, Bikes and how they can convince mum for another special treat! So this is where you all come in, I write, you read and hopefully you get to enjoy and learn something new along the way.